Nick Bailey, long time resident and author of a book about Fitzrovia, will give a visual presentation looking at important sites of community activism, the struggle for housing and open space. 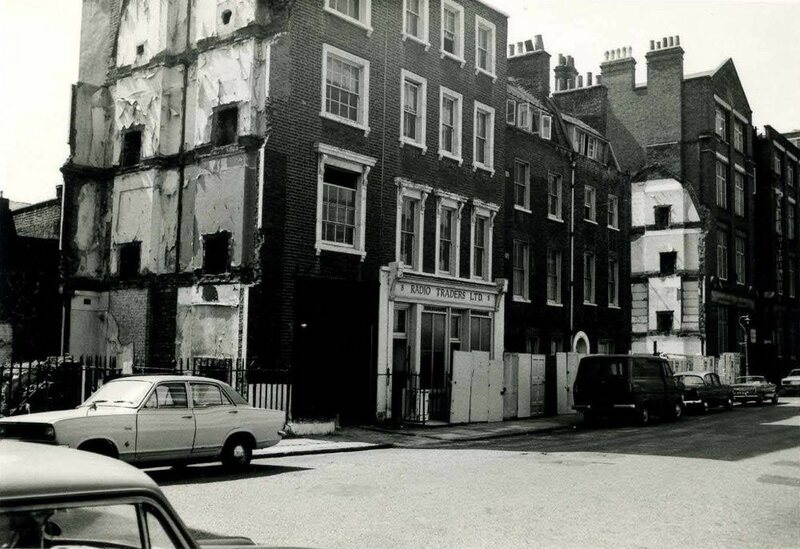 Stephen Street in the early 1970s before demolition. Bailey will talk about the Tottenham Street Tenants Association, the first survey of housing in Fitzrovia, formation of the Fitzrovia Neighbourhood Association and conversion of number 39 Tottenham Street, as well as campaigns and battles around the Warren playground, declaration of Housing Action Areas and Compulsory Purchase Orders (CPOs). Part of the 40th anniversary of the Fitzrovia Neighbourhood Association. 6.30pm Tuesday 16 June 2015, at Feilden Clegg Bradley Studios, 20 Tottenham Street, London W1T 4RF. This entry was posted in Fitzrovia Festival 2015 and tagged community activism, events, Fitzrovia, history, London. Bookmark the permalink.